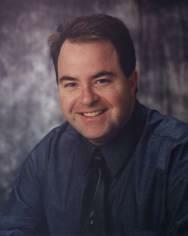 Ron Cornell lives his dream daily, and offers you his expertise in Brandon real estate listings so that you can too. With over 12 years of experience in buying and listing Brandon real estate for sale, Ron has the knowledge you need to negotiate the best deals on your next real estate purchase. What are some things to do in Brandon Manitoba? Brandon is a very temperate area of Canada with low precipitation and though the winter months will get cold, it provides an excellent environment for enjoying outdoor recreation almost year-round. Residents of Brandon enjoy a variety of concerts, conventions, fairs, carnivals, trade shows and sporting events. There is also an abundance of outdoor activities available such as camping, golfing, hiking, swimming, and skiing. Brandon is also considered one of the top arts cities in Canada. It hosts its own jazz festival, a festival of arts every February and March, and an annual folk festival. It also hosts many other musical and theatrical events throughout the year. What are schools like in Brandon? Not only are the neighborhoods safe and the scenery pleasant, but Brandon Manitoba provides an excellent place to raise a family. There are several elementary and secondary schools in the area, along with three high schools. There are also three colleges in the area. One of them, Brandon University, is ranked at the #11 college in Canada, and has the top rated music program in the country. There are so many additional features that make life great in Brandon Manitoba. Homes for sale in various locations can provide breath-taking views from each window. The city of Brandon is also a leader in environmental and community relations throughout Canada. It participates in many green projects, including what’s known as the Bloom Project for city beautification, multiple landscaped areas around the city, and its cultural race relations network, promoting racial harmony and respect for diversity. In short, it’s even healthier for you to live in Brandon! Ron can show you better than tell you about the greatness of Brandon, and he invites you to contact him directly at 800-778-0247 to discuss how you can be a part of what makes Brandon Manitoba such a great place to live. Brandon is a great place to raise a family. Low crime rate, plenty of activities for children, a great junior hockey team, and a high quality of life.